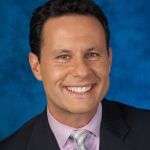 One of Fox News Channel’s most recognizable personalities, Brian Kilmeade, co-host of the popular Fox & Friends morning show, delivers a unique brand of radio to FOX News Talk. Limeade will be joined by top personalities and contributors to Fox News Channel and Fox Business Network along with other leading newsmakers, news breakers and experts on a regular basis. A lot of listener interaction takes place as well via calls to the show and e-mails or posts to the Kilmeade & Friends community!